I belong to a monthly swap group - there are just five of us so it's not a 'chore' to make a heap of the same card - just 5. Every month we have a different 'challenge' and this month it was 'boys card' so I decided to make this cutie! 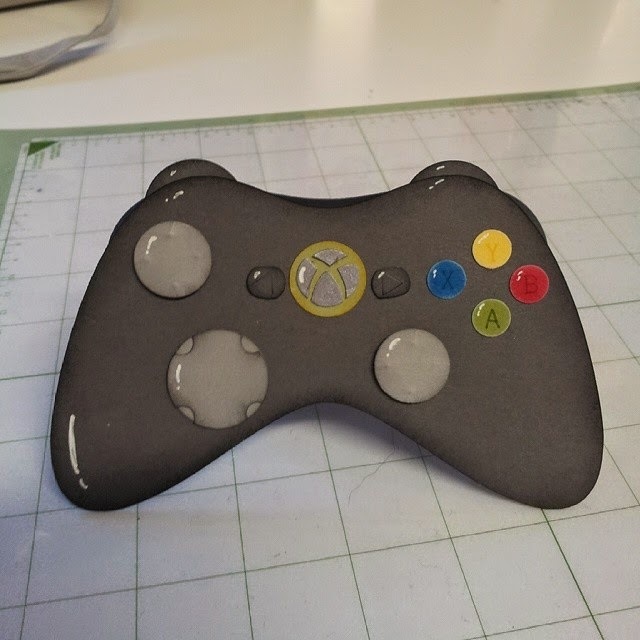 lol The shape was cut on my Cricut but you could just trace an actual controller or Google a shape. 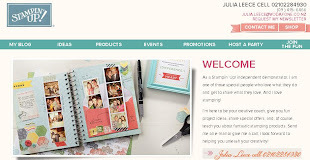 I used just about every small round punch Stampin' Up! have to create the knobs- The larges is the 1" one. I sponged all of the knobs and added the white gel pen marks to create the 3D effect. The 'toggle' type knobs are on dimensionals - I also pressed a pencil into the back of them to create the little dot things on the toggles. The Xbox symbol I cut out of our brushed silver card - which was fun getting the 'curves' just right! lol I used Tombow for the adhesive - after 6 years of tying I've FINALLY worked out how to use it! lol . It's perfect for small pieces like these. Next months is a colour challenge so that will be fun! Wow Julia. From the photo it looks like you could pick it up and play X box with it. Every Gal Loves A Red Shoe!!! weekly deal for Wednesday 2 July - 8 July.